The rate of growth of parkruns has been quite phenomenal. 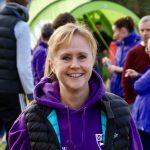 This time last year there only 3 established parkruns in our region. Durham was about to commence, and since then 7 more have been added. The day started at 9.00 am at Durham parkrun and provided many of the day’s ‘highs’ There were of course the usual large number of striders running, marshalling, and helping to organise this event. It was wonderful to see Emma, Greta, & Dougie turn up wearing their Acorn’s tops. My son-in-law, Julian Hart, from Birmingham only had time for this first run and was pleased with his 12th place. 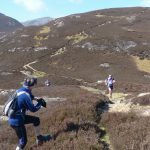 It was also announced at the Start that Michael Spedding was running. Michael is the brother of Olympic Bronze Medallist Charlie Spedding. Both he and Charlie were School running buddies of mine and his presence revived good memories of our XC races round Houghall Woods way back in the ‘black ‘n white’ days of 1967. From Durham the parkrunathon entourage commenced its journey round the North East. First we headed South to Sedgefield, then onto Tees Barrage, Middlesborough’s Albert Park & Stewart Park, next stop was Redcar. Mid-afternoon it was ‘head back North’ to Sunderland (the only time we had rain! ), Whitley Bay, Newcastle Town Moor, Gateshead, and finally at 10.00 pm Chester-le-Street’s Riverside. 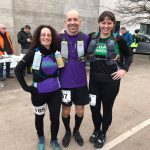 Again many memorable moments along the way including the presence on a couple of occasions of Sharon Gayter, international ultra-marathon runner & multiple world record holder. She could only act as ‘starter’ at Tees Barrage, but did she make a special journey to run the final Riverside Run at Chester-le-Street. Support from Striders was also amazing. 23 running at Durham, Adam Walker also ran at Sedgefield & Sunderland, Stephen Garbutt came to Riverside. Kevin Williams & Billy Ford did the first 5 on the trot. They could not give their time for the afternoon, but did return for the finale. Kevin to support & Bill ran Gateshead & Riverside making his contribution 21 miles and 7 runs in total. 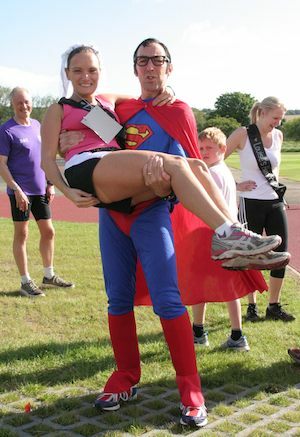 Mike Elliot & Greta also ran at Strider’s spiritual parkrun home at Sunderland. 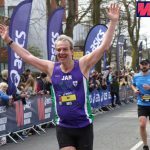 It was a great thrill for me to watch Paul run at each of the 11 venues, naturally I did not have the ability to run every one, so I took the ‘soft’ option and ran every alternate one: Durham, Tees Barrage, Stewart Park, Sunderland, Town Moor & Riverside. £1250+ raised for Acorns that day! What more to say? It was indeed another good day at the Office. 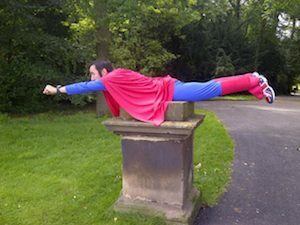 Great contribution as ever from the dozens of Striders who ran & supported ’Superman’ Paul Smith’s great challenge.